Corrosion Block grease in a tub is a really handy way to use and apply grease to hundreds of items to lubricate & protect from corrosion. Use on wheel bearings, axles, boat trailers, garage door wheels, lawn & garden equipment and much, much more. 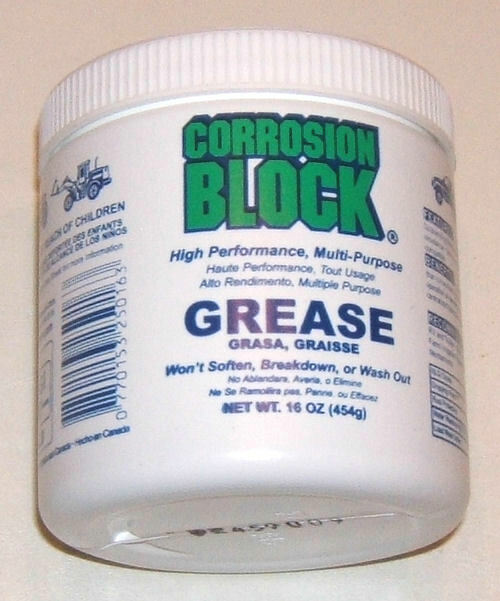 This is super high quality grease that contains all the protective ingredients of Corrosion Block.